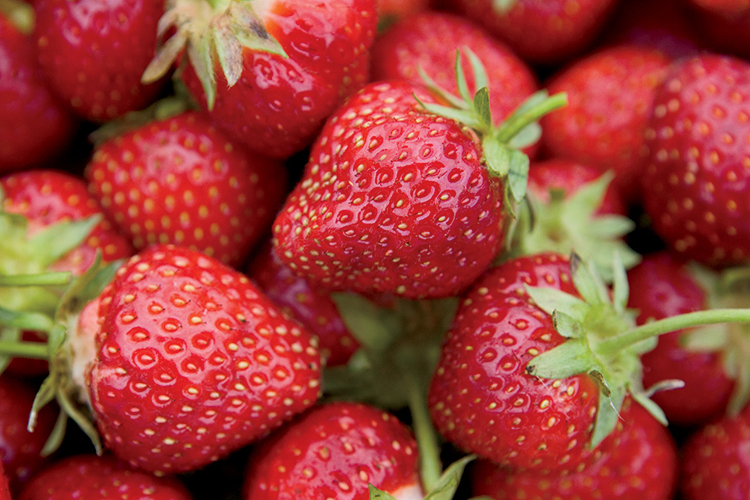 Strawberries are a springtime staple, and North Carolina grows about 20 million pounds of them each year. 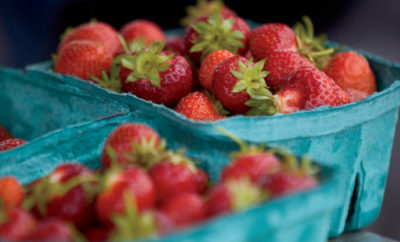 Whether you pick them yourself in your backyard garden or a U-pick strawberry patch, or if you buy them at the farmers market or grocery store, these sweet berries taste great and also pack a nutritional punch. Strawberries contain nutrients to support brain and heart health, and just eight medium strawberries provide more than 150 percent of your daily value for the disease-fighting vitamin C. What’s more, emerging research with strawberries indicates that they contain a natural compound that may help with weight management and appetite regulation. 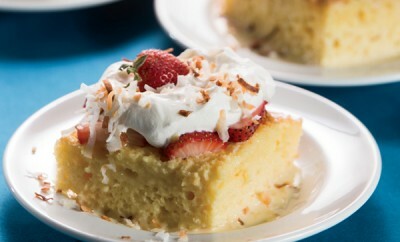 Click the arrow to find nine recipes with strawberries ranging from salads to sweets. If you click on the photo or on the text below the photo, you should be taken to the recipe on that page. We added some additional text to make it a little easier to see where to click the links to the recipes. Sorry for any confusion! I have your stawberry Rhubarb pie recipe from Renee Ciancio. Can I freeze it after I cook it or before I cook it? Can I use frozen rhubarb? I am not positive about this specific recipe, but in general, you can usually use frozen fruits in pies – you’ll just need to thaw (and drain) the rhubarb first, otherwise it will release too much liquid into the pie. As far as freezing goes, I would think that making the pie, then freezing it would be best, but we haven’t tested that. This recipe was submitted by a reader before I was involved in the magazine, so I will pass along this question and see if we can find an answer for you. Hope this helps! Hi Pat ~ I do not recommend freezing fruit pies either before or after. Yes, you can use frozen rhubarb! I buy rhubarb fresh, chop it and then vacuum seal it for use during the off season. **Hint: after letting the mixture of rhubarb and strawberries sit while making your pie crust drain some of the liquid that forms off before filling the crust. This will keep the pie crust from becoming a soggy mess. Also before filling any fruit pie I “dust” the bottom of the crust with a thin layer of sugar to keep the crust nice and flaky. Strawberries are so good dipped in sour cream then in brown sugar!!!! !